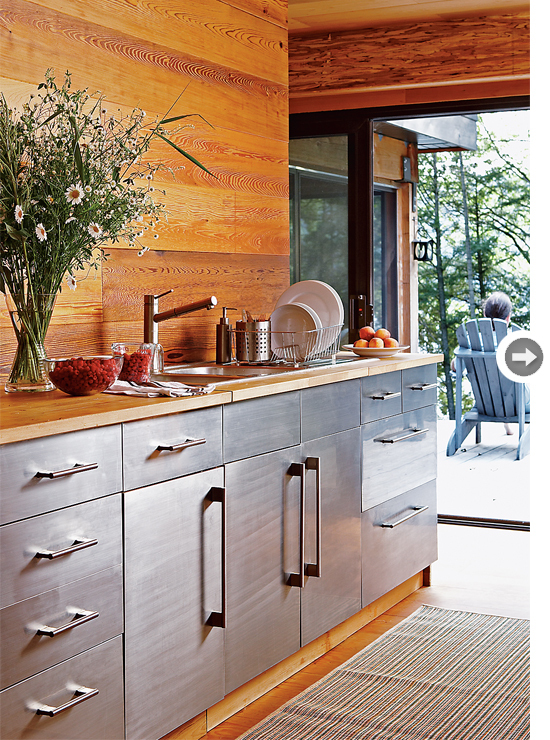 Mix and Chic: Home tour- A sleek and modern cottage! 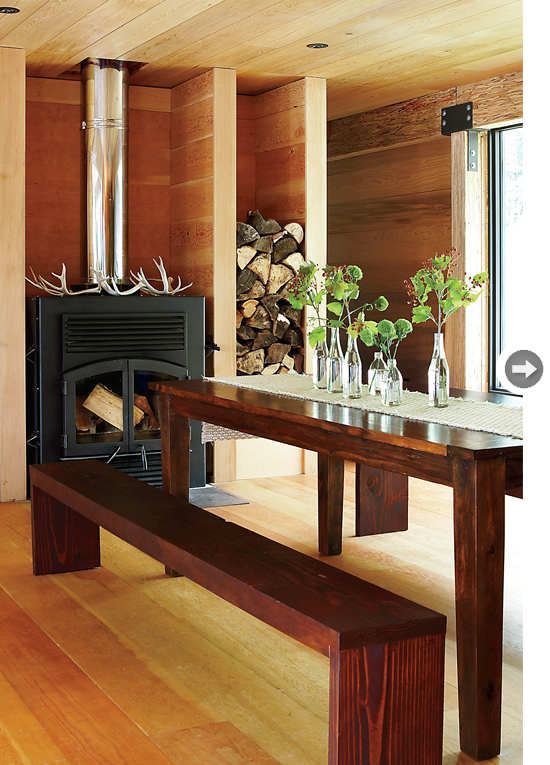 This sleek and beautiful rustic home belongs to a family of enthusiastic campers. Open to the surrounding woods and with lots of windows, the cottage's unobtrusive design creates the illusion of sitting right in the woods. 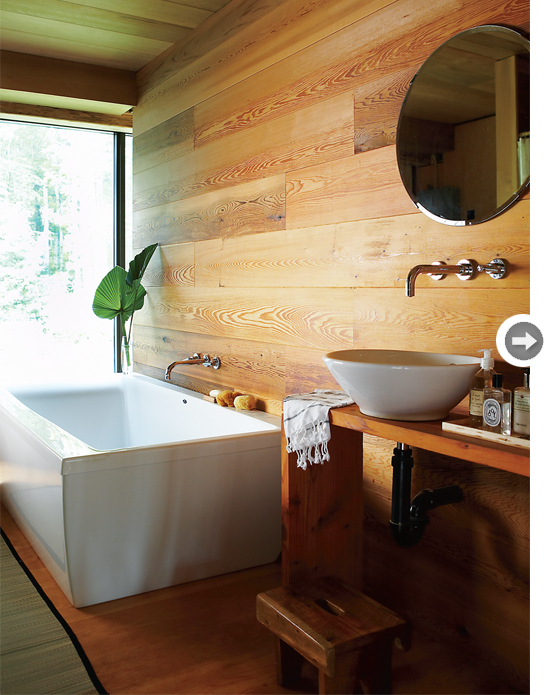 Are you in love with the wood wall paneling as much as I do? I think the wood wall panelings create a sense of warmth and coziness and they contrast well against the sleek and modern clean lines throughout the home. My favorites include the living room, the bathroom and the enclosed porch. Which are yours? Wow, Jessie, this house is gorgeous! It's so modern but cozy at the same time! wishing you a wonderful weekend and ciao! Such a gorgeous cottage. 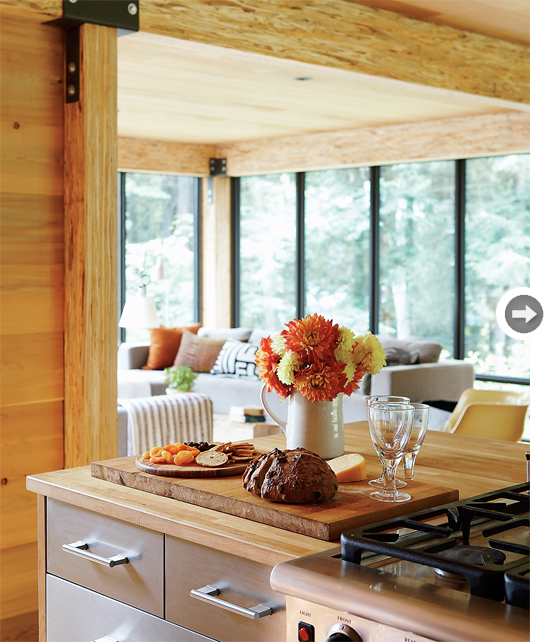 Love how modern the wood looks ! Overall, I'd say I'm not a huge fan of modern or minimalist interiors, but I really like this place. The wood is what does it for me, I think. You are right that it is warm. 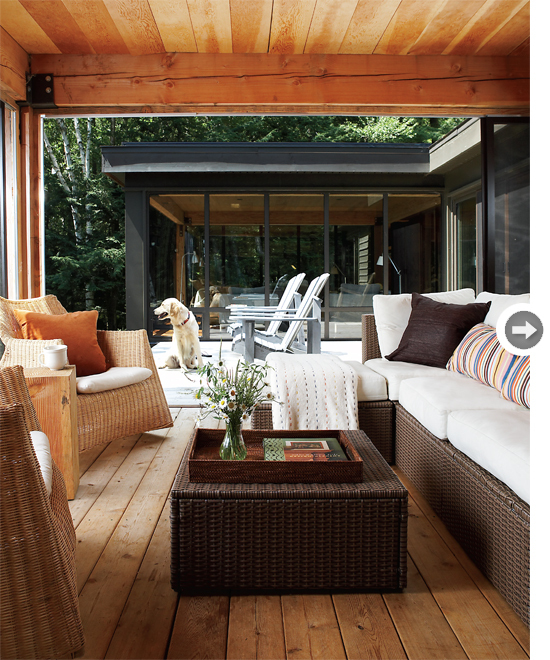 I'd have to say that my favorite spaces are the kitchen and the deck. this house is AMAZING! 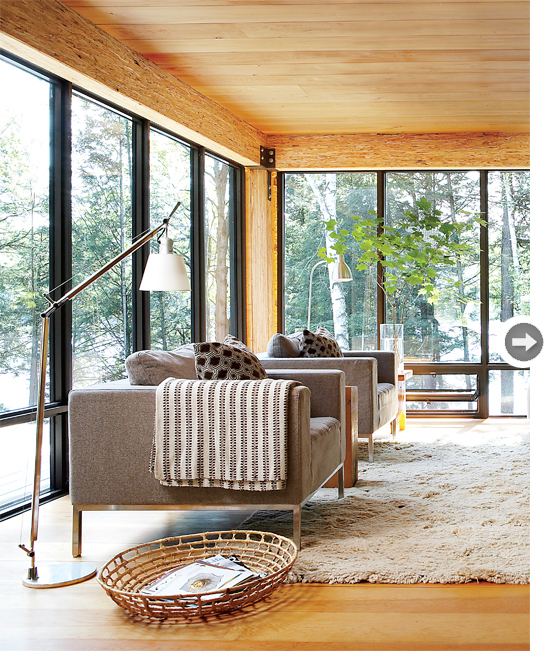 i love the blend of nature in the house.. but still so modern and sleek! This is fabulous. Modern yet Rustic. I love it. Have a great weekend. On my way to the lake. this is so beautiful. i love how clean the design is but still warm with all of the wood. and the windows--gorgeous! 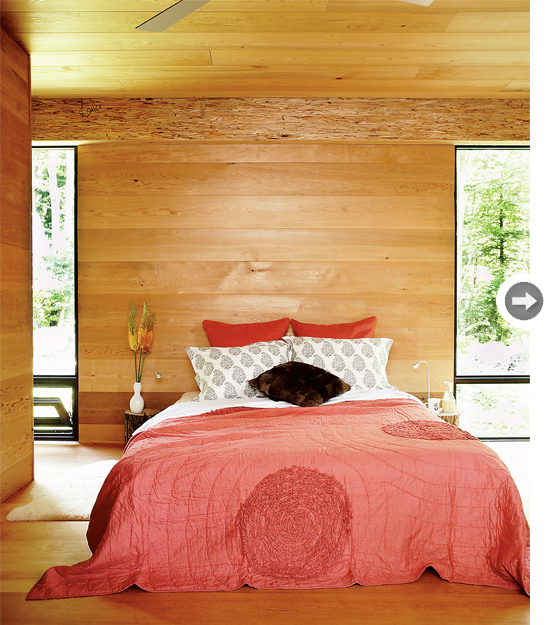 Even though this typically isn't my style I truly LOVE this home! If I lived in an area with the woods around this would be my dream home! This is spectacular!!! Really feels like a tree house and takes advantage of the beautiful setting. Great style. Very lovely cottage. The architecture is astonishingly brilliant. What I like most is the amount of natural light entering. It gives a natural feel of the outdoors.